Why Do Dads Want Sons? It is disheartening how many forum topics address this question. Why are sons so important to fathers? If the question was asked 50 or 60 years ago, the answer would be simple – fathers want to pass on the family name and keep the bloodline alive. But, in a contemporary global society like the one we exist in today, are those same thoughts on the minds of expecting fathers? Do dads want sons because they are worried the family line will end if they do not have a son to carry on that line? Believe it or not, the need to have a child of your gender is not limited to men. According to a study in mentioned in Time Magazine in January, 2012, men want male children and women want female children. The results of the study were a surprise to authors who believed, like me, that the world had moved past gender inequalities and desire to a more rounded idea of parenting. It is often assumed that parents have no preference because they tell everyone they just want a healthy child, no matter the gender, but that simply is not true. Men want male children as a legacy play. They can carry on their legacy if their sons father children – hopefully at least one male child - and so on. Women, on the other hand, appear to want female children to share an expected mother/daughter bond. There is also some speculation that women want to share their experiences as a strong, independent woman with their daughters as if to show them the advances they’ve helped achieve in the world. Despite the lengths we’ve gone to as a society, it appears men and women are no different today than they were 50 years ago. Men want sons to carry on their legacy and women want daughters to share life experiences with and it looks like that is something rooted deep within the human psyche. 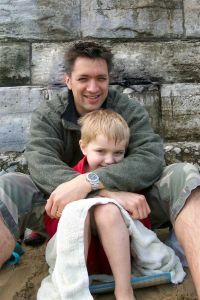 Previous: Do Dads Resent Staying at Home?